The QuadStick is not directly compatible with either the XBox One or 360. The CronusMax device, however, can adapt the QuadStick to both of these consoles. Pug the CronusMax into the console. It should flash A U on its display. If XBox One, remove the battery pack from the controller. 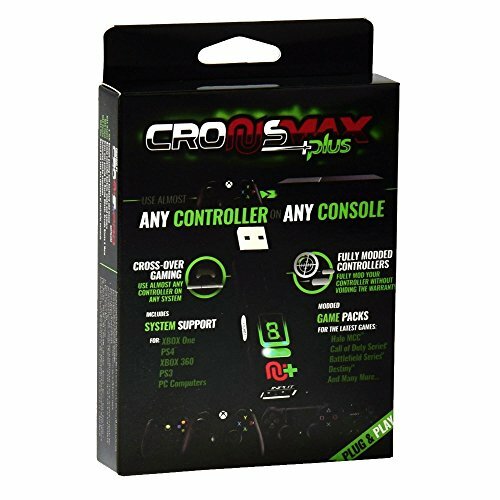 Plug a wired XBox controller into the input of the CronusMax. The CronusMax display should show 0. Unplug the XBox controller and plug in the QuadStick.